A fun gift for the friend who never misses a game night. When holding a full house, it's important to stay calm— and properly hydrated. 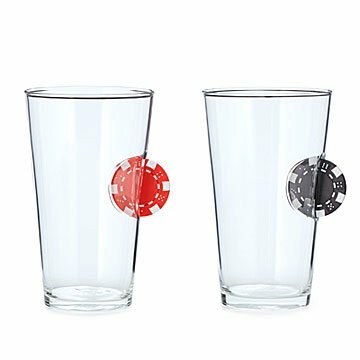 This pint glass has a poker chip cleverly wedged into its side, making it a fun gift for the friend who never misses a game night. Made of lightweight borosilicate in China. Pair your Ante Up Poker Pint Glass with our Card Player Snack Set.